Noise pollution or noise disturbance is the disturbing or excessive noise that may harm the activity or balance of human or animal life. The source of most outdoor noise worldwide is mainly caused by machines and transportation systems, motor vehicles, aircraft, and trains. Outdoor noise is summarized by the word environmental noise. 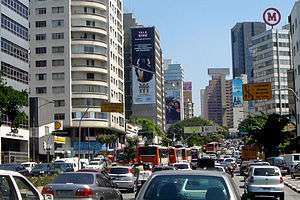 Poor urban planning may give rise to noise pollution, since side-by-side industrial and residential buildings can result in noise pollution in the residential areas. Documented problems associated with urban noise go back as far as Ancient Rome. Outdoor noise can be caused by machines, construction activities, and music performances, especially in some workplaces. Noise-induced hearing loss can be caused by outside (e.g. trains) or inside (e.g. music) noise. High noise levels can contribute to cardiovascular effects in humans and an increased incidence of coronary artery disease. In animals, noise can increase the risk of death by altering predator or prey detection and avoidance, interfere with reproduction and navigation, and contribute to permanent hearing loss. Noise pollution affects both health and behavior. Unwanted sound (noise) can damage psychological health. Noise pollution can cause hypertension, high stress levels, tinnitus, hearing loss, sleep disturbances, and other harmful effects. Sound becomes unwanted when it either interferes with normal activities such as sleeping, conversation, or disrupts or diminishes one's quality of life. Chronic exposure to noise may cause noise-induced hearing loss. Older males exposed to significant occupational noise demonstrate more significantly reduced hearing sensitivity than their non-exposed peers, though differences in hearing sensitivity decrease with time and the two groups are indistinguishable by age 79. A comparison of Maaban tribesmen, who were insignificantly exposed to transportation or industrial noise, to a typical U.S. population showed that chronic exposure to moderately high levels of environmental noise contributes to hearing loss. High noise levels can result in cardiovascular effects and exposure to moderately high levels during a single eight-hour period causes a statistical rise in blood pressure of five to ten points and an increase in stress, and vasoconstriction leading to the increased blood pressure noted above, as well as to increased incidence of coronary artery disease. Less addressed is how humans adapt to noise subjectively. Indeed, tolerance for noise is frequently independent of decibel levels. However, Murray Schafer's soundscape research was groundbreaking in this regard. In his eponymous work, he makes compelling arguments about how humans relate to noise on a subjective level, and how such subjectivity is conditioned by culture. He also notes that sound is an expression of power, and as such, material culture (e.g., fast cars or Harley Davidson motorcycles with aftermarket pipes) tend to have louder engines not only for safety reasons, but for expressions of power by dominating the soundscape with a particular sound. Other key research in this area can be seen in Fong's comparative analysis of soundscape differences between Bangkok, Thailand and Los Angeles, California, US. Fong's research methodology was modeled after Schafer, and the research findings show how not only do soundscapes differ, but they also rather explicitly point to the level of urban development in the area; that is, cities in the periphery - in Immanuel Wallerstein-speak - will have different soundscapes than that of cities in the core. Fong's important findings tie not only soundscape appreciation to our subjective views of sound, but also demonstrates how different sounds of the soundscape are indicative of class differences in urban environments. Noise can have a detrimental effect on wild animals, increasing the risk of death by changing the delicate balance in predator or prey detection and avoidance, and interfering the use of the sounds in communication, especially in relation to reproduction and in navigation. Acoustic overexposure can lead to temporary or permanent loss of hearing. European robins living in urban environments are more likely to sing at night in places with high levels of noise pollution during the day, suggesting that they sing at night because it is quieter, and their message can propagate through the environment more clearly. The same study showed that daytime noise was a stronger predictor of nocturnal singing than night-time light pollution, to which the phenomenon often is attributed. A man wears ear muffs for protection against noise pollution, 1973. 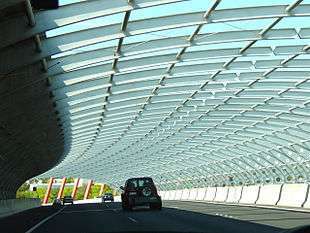 Roadway noise can be reduced by the use of noise barriers, limitation of vehicle speeds, alteration of roadway surface texture, limitation of heavy vehicles, use of traffic controls that smooth vehicle flow to reduce braking and acceleration, and tire design. An important factor in applying these strategies is a computer model for roadway noise, that is capable of addressing local topography, meteorology, traffic operations, and hypothetical mitigation. Costs of building-in mitigation can be modest, provided these solutions are sought in the planning stage of a roadway project. Aircraft noise can be reduced by using quieter jet engines. Altering flight paths and time of day runway has benefitted residents near airports. Industrial noise has been addressed since the 1930s via redesign of industrial equipment, shock mounted assemblies and physical barriers in the workplace. In recent years, Buy Quiet programs and initiatives have arisen in an effort to combat occupational noise exposures. These programs promote the purchase of quieter tools and equipment and encourage manufacturers to design quieter equipment. 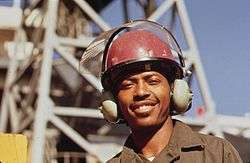 The US National Institute for Occupational Health has created a database of industrial equipment with decibel levels noted. Noise pollution is a major problem in India. The government of India has rules & regulations against firecrackers and loudspeakers, but enforcement is extremely lax. Awaaz (sound) Foundation is an Indian NGO working to control noise pollution from various sources through advocacy, public interest litigation, awareness, and educational campaigns since 2003.Despite increased enforcement and stringency of laws now being practised in urban areas, rural areas are still affected. There are federal standards for highway and aircraft noise; states and local governments typically have very specific statutes on building codes, urban planning, and roadway development. The Environmental Protection Agency retains authority to investigate and study noise and its effect, disseminate information to the public regarding noise pollution and its adverse health effects, respond to inquiries on matters related to noise, and evaluate the effectiveness of existing regulations for protecting the public health and welfare, pursuant to the Noise Control Act of 1972 and the Quiet Communities Act of 1978. ↑ Rosenhall U, Pedersen K, Svanborg A (1990). "Presbycusis and noise-induced hearing loss". Ear Hear. 11 (4): 257–63. doi:10.1097/00003446-199008000-00002. PMID 2210099. ↑ Fong, Jack (2016). "Making Operative Concepts from Murray Schafer's Soundscapes Typology: A Qualitative and Comparative Analysis of Noise Pollution in Bangkok, Thailand and Los Angeles, California.". Urban Studies. 53 (1): 173–192. ↑ [NULL]. "DOSITS: Page Not Found". Retrieved 25 September 2015. ↑ "Variation in humpback whale (Megaptera novaeangliae) song length in relation to". Retrieved 25 September 2015. 1 2 Wale, M. A.; Simpson, S. D.; Radford, A. N. (2013). "Size-dependent physiological responses of shore crabs to single and repeated playback of ship noise". Biology Letters. 9 (2): 20121194–20121194. doi:10.1098/rsbl.2012.1194. ISSN 1744-9561. ↑ Fuller RA, Warren PH, Gaston KJ (2007). "Daytime noise predicts nocturnal singing in urban robins". Biology Letters. 3 (4): 368–70. doi:10.1098/rsbl.2007.0134. PMC 2390663 . PMID 17456449. ↑ "CDC - Buy Quiet - NIOSH Workplace Safety and Health Topics". Retrieved 25 September 2015. ↑ "CDC - Buy Quiet: Efforts - NIOSH Workplace Safety and Health Topics". Retrieved 25 September 2015. ↑ "Central Pollution Control Board: FAQs". Retrieved 25 September 2015. ↑ EPA. "Noise pollution". Environmental protection agency. Retrieved 2013-10-28.